Inspired by Mexican Folk Art this project will have you explore combining two molds to create a polymer clay head and crown for your santo. 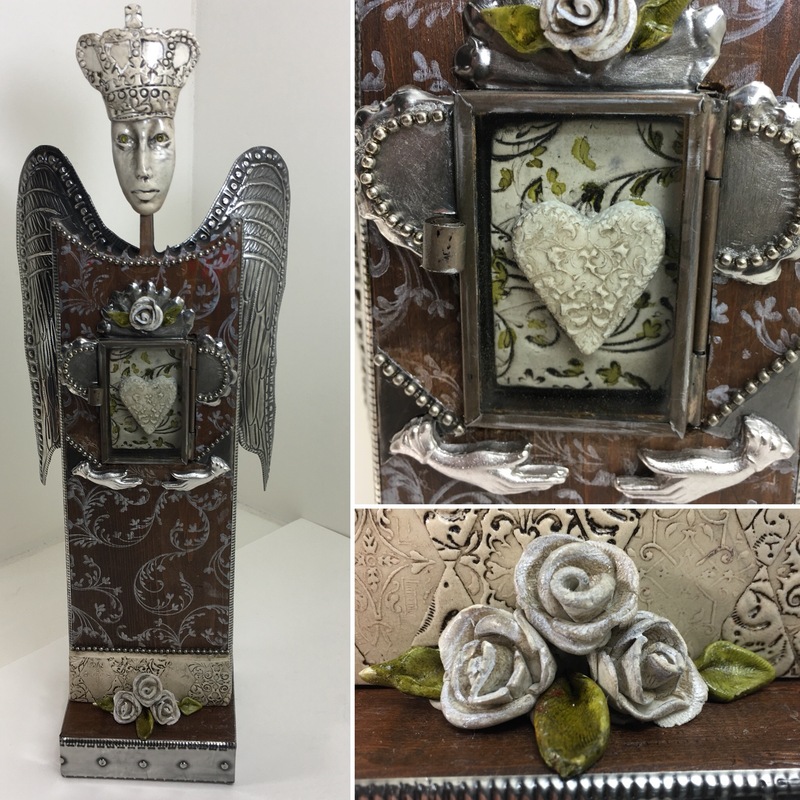 We will use stamping techniques and a wax patina to create clay roses and embellishments and luscious lead free pewter sheet will be embossed to create flexible wings and sides. I will demonstrate how to melt metal ingots to create the hand embellishments using flexible molds and a simple heat source. Completed Project measures 14 inches x 6 inches ( 36 cm x 14 cm) All supplies will be provided to complete the project as well as the use of class tools. Full payment on registration on Online Store www.pewterart.ca . Cancellations will not be refunded but a credit will be applied to future workshops.